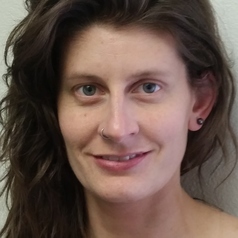 Samantha Winter is a Dorothy Byrne Post Doctoral Fellow in Global Health. She has a bachelor’s and master’s degree in civil and environmental engineering from Colorado State University and Stanford University, respectively; a master’s and doctoral degree in social work from Rutgers University; and, a graduate certificate in African studies from Rutgers University. Dr. Winters’ research focuses on women’s empowerment, violence against them, and their ability to access and utilize health-related spaces and services in sub-Saharan Africa. She has conducted research and published on topics including women’s health, violence against women, women’s sanitation access and utilization, and determinants of women’s ability to access health-related services in sub-Saharan Africa. Dr. Winter recently completed research projects exploring women’s ability to access and utilize health-related spaces and services (e.g., sanitation and water) and women’s health, including their physical and mental health and their experiences of violence, in informal settlements in Nairobi, Kenya. She is also currently part of a research project focused on examining gender norms and gender-based violence in rural Kenya.